As many as 350 houses have been submerged since yesterday in different parts of the state, State Urban Development and Poverty Alleviation Minister Zodintluanga said. Landslides and incessant rains have blocked several roads in Aizawl town. 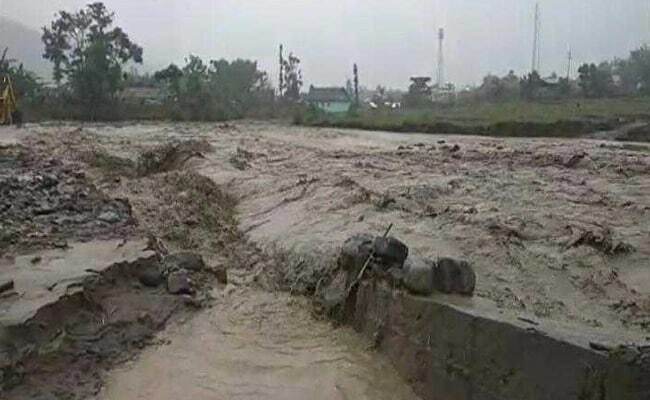 Aizwal: Eight persons have been killed and six others are missing after flash floods caused by heavy rainfall wreaked havoc at Tlabung in Mizoram's Lunglei district on Monday night. Forty families have been evacuated and sheltered in Young Mizo Association's community hall in Sairang town near Tlawng River, about 30 km west of Aizawl. National Highway 54, which links the state with Assam, has been cut off at different places due to landslides in Lunglei, Siaha, Lawngtlai, Serchhip and Champhai districts. Schools were closed in Thenzawl and six houses submerged in the area forcing the inhabitants to leave the buildings, the officials said. Landslides and incessant rains have blocked several roads in Aizawl town, and power supply lines were snapped and telecommunication system was disrupted in the state capital.